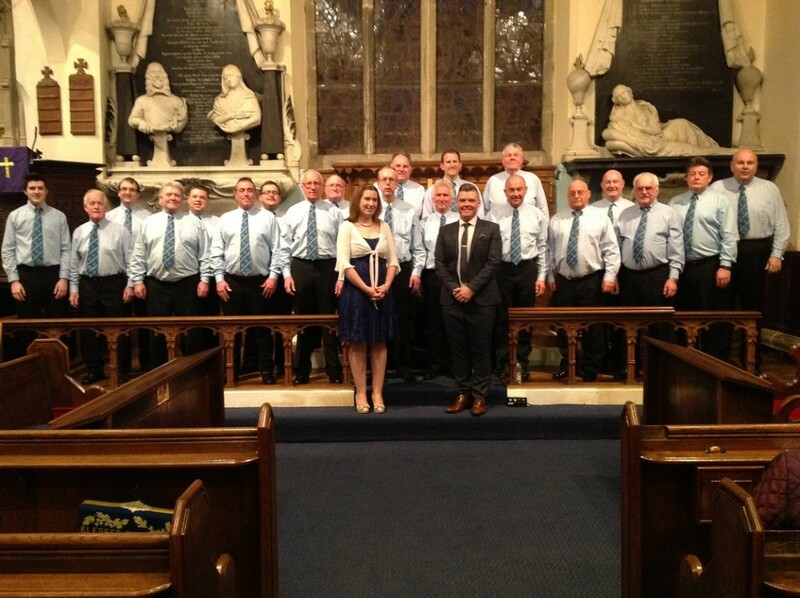 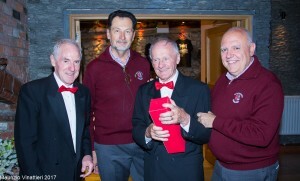 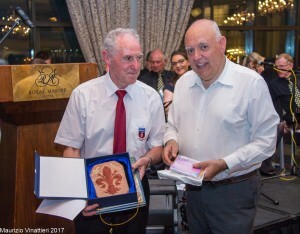 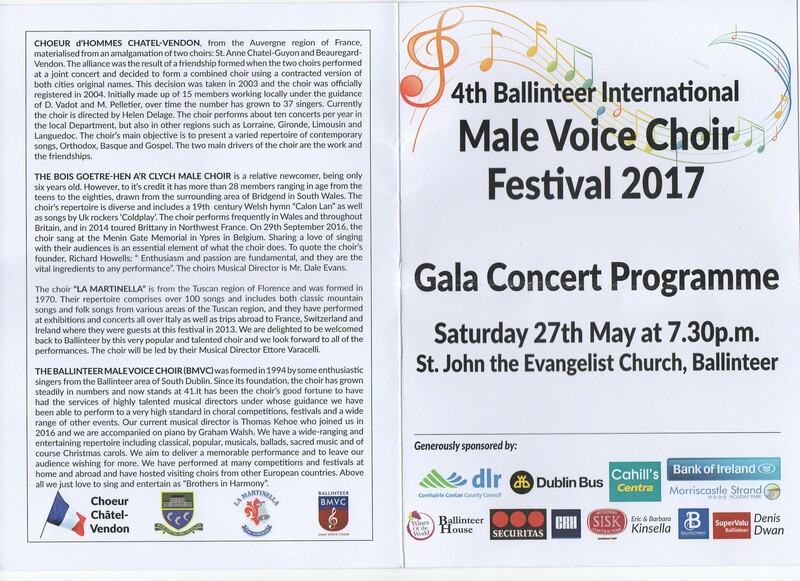 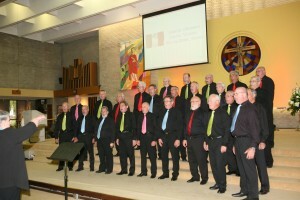 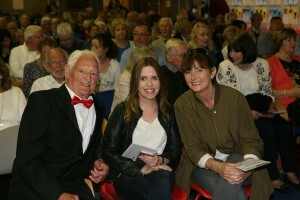 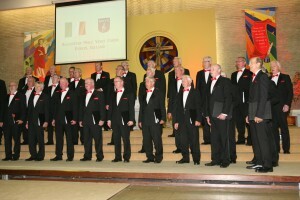 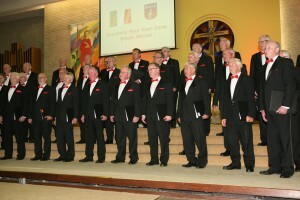 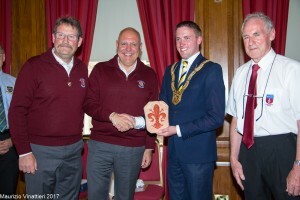 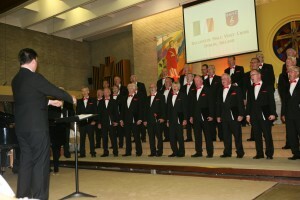 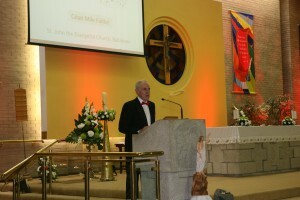 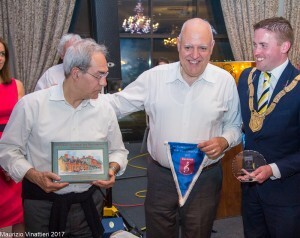 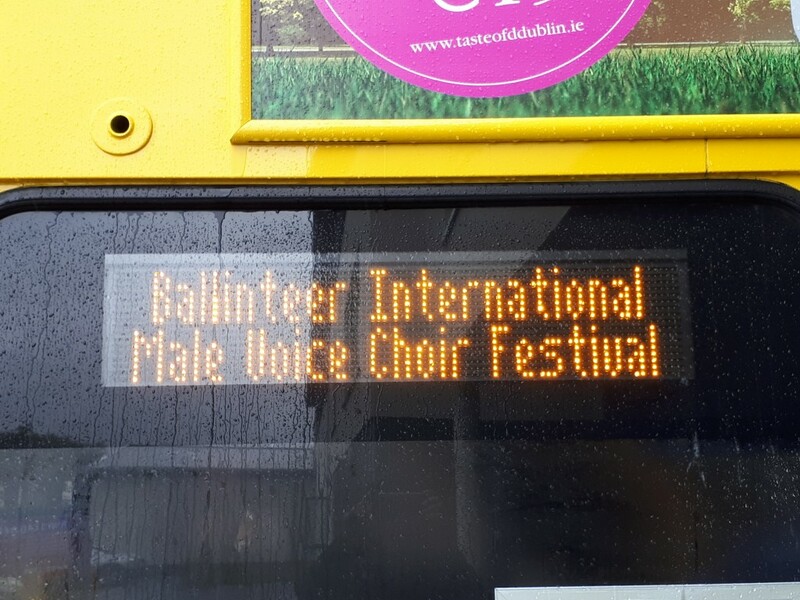 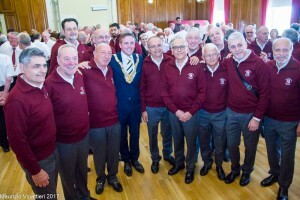 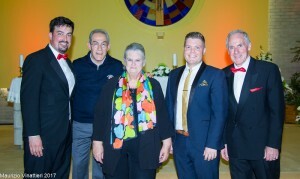 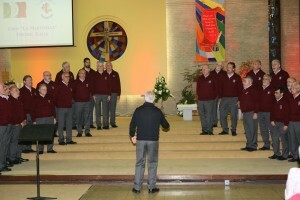 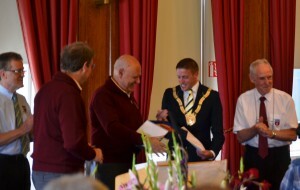 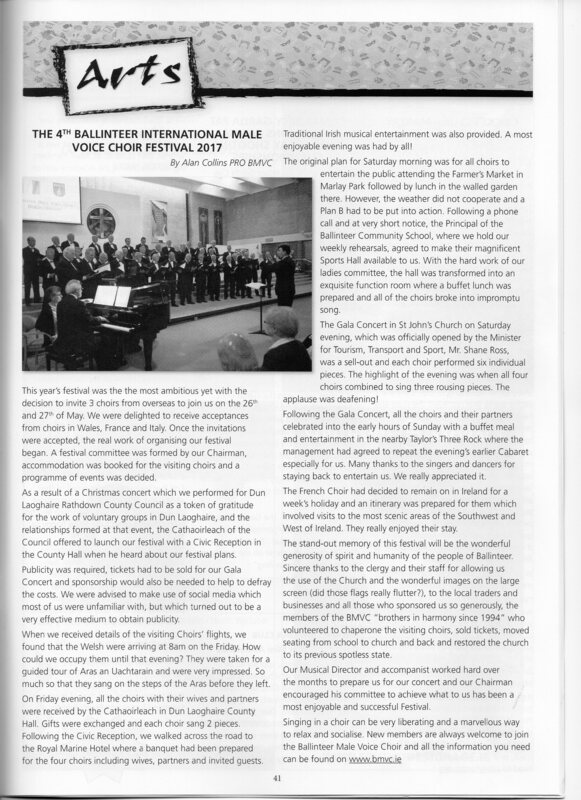 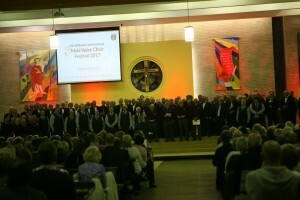 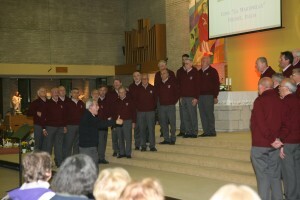 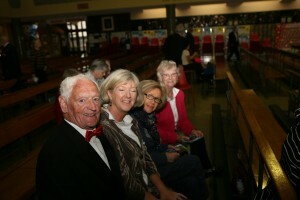 Ballinteer Male Voice Choir hosted the 4th Ballinteer International Male Voice Choir Festival on 26th and 27th May 2017. 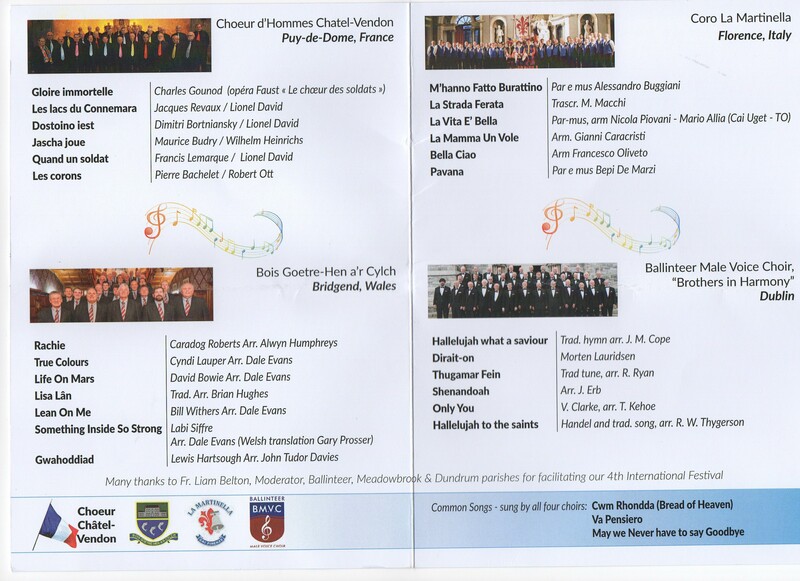 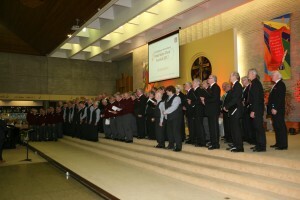 Participating choirs from Europe included Coro La Martinella from Florence in Italy, Choeuer d'Hommes Chatel-Vendon from Puy-de-dome in the Auvergne region of France, and Bois Goetre-Hen a'r Cylch from Bridgend in Wales We acknowledge with thanks all those companies who provided sponsorship. 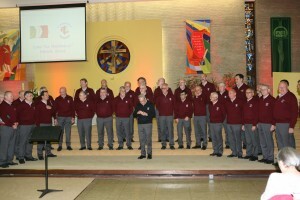 The choir "LA MARTINELLA" is from the Tuscan region of Florence and was formed in 1970. 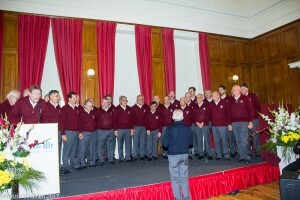 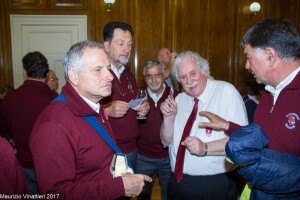 Their repertoire comprises over 100 songs and includes both classic mountain songs and folk songs from various areas of the Tuscan region, and they have performed at exhibitons and concerts all over Italy as well as trips abroad, to France, Switzerland and Ireland where they were guests at our festival in 2013. 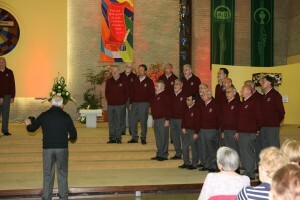 We are delighted to welcome back this very popular and talented choir again and we look forward to their performances The choir will be led by their Musical Director Ettore Varacalli. 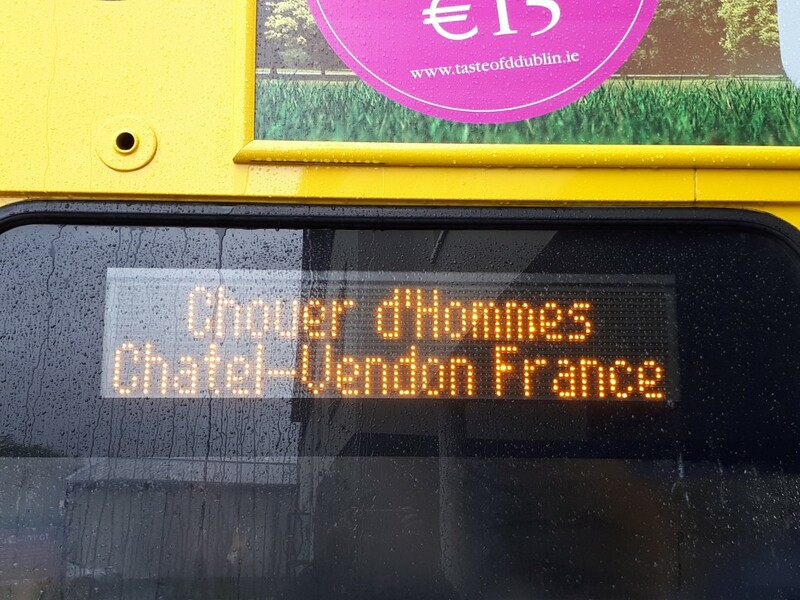 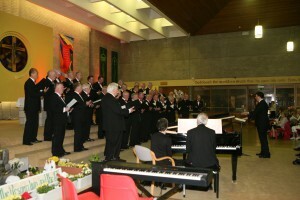 CHOEUR d'HOMMES CHATEL-VENDON, from the Auvergne region of France, materialised from an amalgamation of two choirs: St. Anne Chatel-Guyon and Beauregard-Vendon. 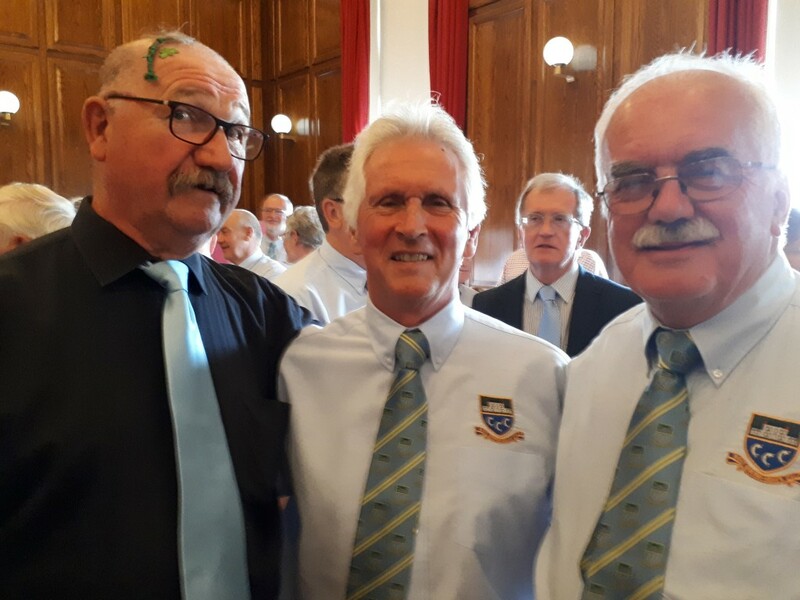 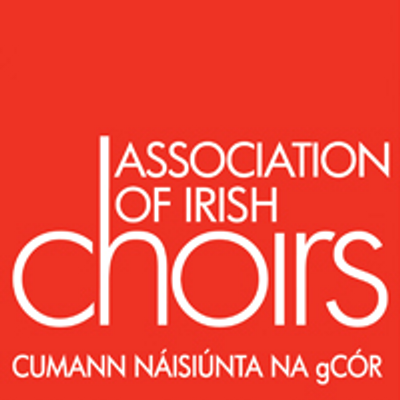 The alliance was the result of a friendship formed when the two choirs performed at a joint concert and decided to form a combined choir using a contracted version of both cities original names. 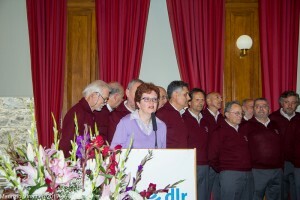 This decision was taken in 2003 and the choir was officially registered in 2004.Initially made up of 15 members working locally under the guidance of D. Vadot and M. Pelletier, over time the number has grown to 37 singers. 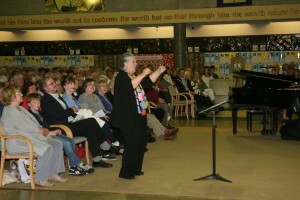 Currently the choir is directed by Helene Delage. 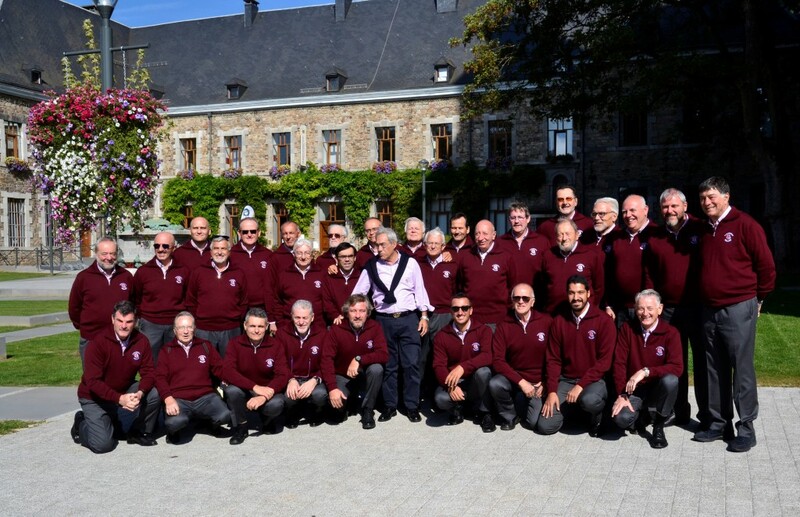 The choir performs about ten concerts per year, in the local Department but also in other regions such as Lorraine, Gironde, Limousin and Languedoc.The choirs' main objective is to present a varied repertoire of contemporary songs, Orthodox, Basque and Gospel. 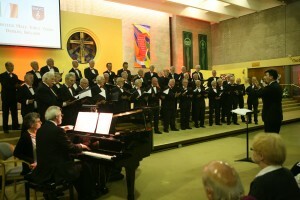 The two main drivers of the choir are the work and the friendships. 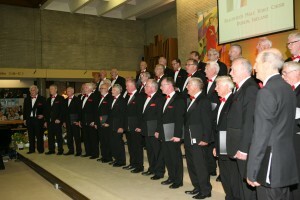 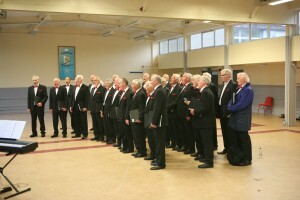 THE BOIS GOETRE-HEN A'R CYLCH MALE CHOIR is a relative newcomer, being only six years old. 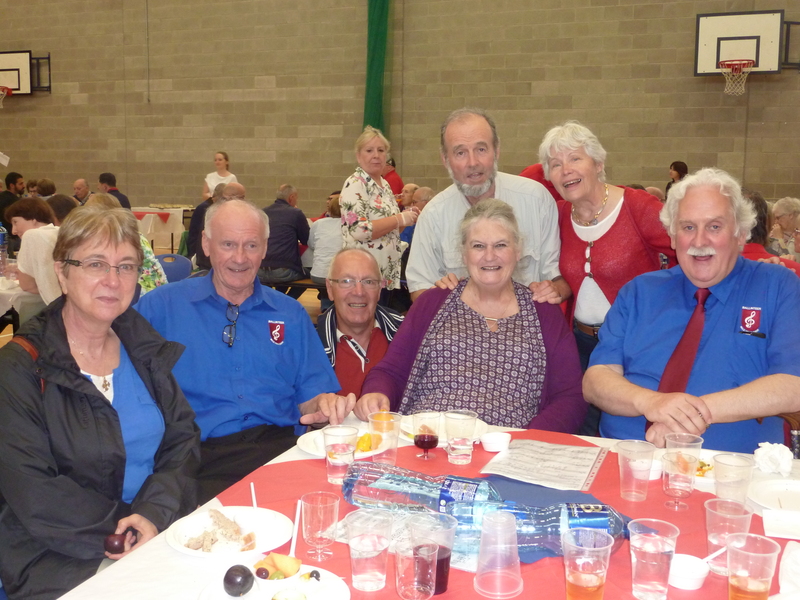 However, to it's credit it has more than 28 members ranging in age from the teens to the eighties drawn from the surrounding area of Bridgend in South Wales. 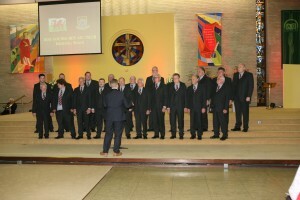 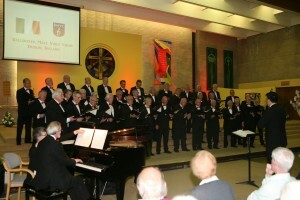 The choir's repertoire is diverse and includes a 19th century Welsh hymn "Calon Lan" as well as songs by UK rockers "Coldplay". 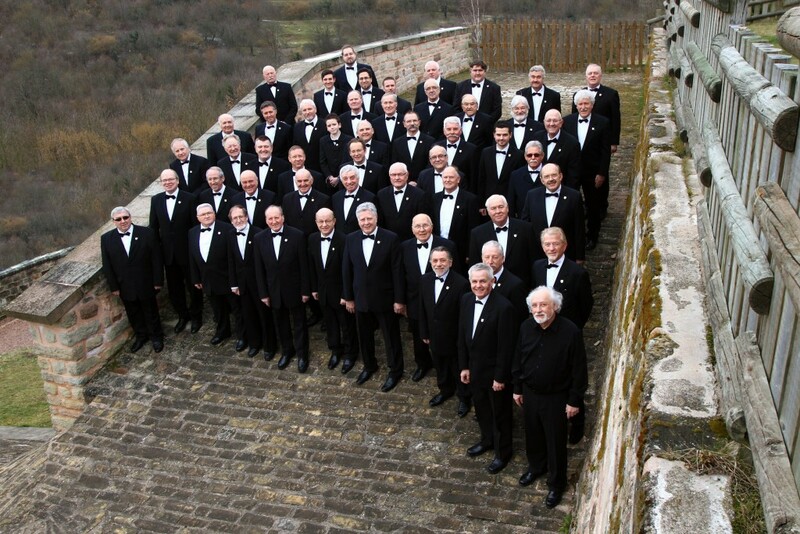 The choir performs frequently in Wales and throughout Britain, and in 2014 toured Brittany in Northwest France.On 29th September 2016, the choir sang at the Menin Gate Memorial in Ypres in Belgium Sharing a love of singing with their audiences is an essential element of what the choir does. 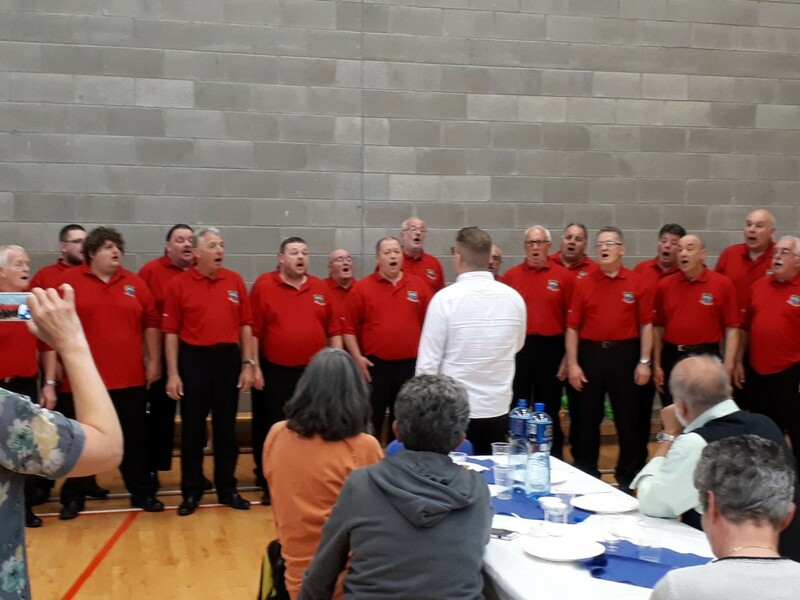 To quote the choir's founder Richard Howells: "Enthusiasm and passion are fundamental, and they are the vital ingredients to any performance".The choir's Musical Director is Mr Dale Evans.